So yesterday was the best day I’ve had in a while! Not only was I not preparing, or even thinking about taxes, but I spent the entire day enjoying myself at Eat Alberta with Sean and Sarah! For those of you not familiar with Eat Alberta, it is a one-day conference which brings together hundreds of food fanatics from all over Alberta – chefs, farmers, butchers, gardeners and anyone who just loves food. The day started off with a keynote speaker. Jeff Senger talked about his transition from city living as an accountant to purchasing a piece of land in rural Alberta, raising an impressive amount of livestock and running a butcher shop. It was so refreshing to hear accounts from Jeff and others at Eat Alberta who all value local food, a healthy lifestyle and following their passion. It was also a nice reminder that there are so many local producers who can supply meat which comes from livestock that is healthy and humanely treated. Next, each participant had four sessions to attend (with a delicious lunch in the middle). The sessions were determined by the track you selected when purchasing your ticket. There were so many options – everything from sausage making to foraging for mushrooms to making ricotta cheese. It was so hard to choose! Me and Sean decided to do different sessions to maximize the knowledge (and delicious food) we would take away. 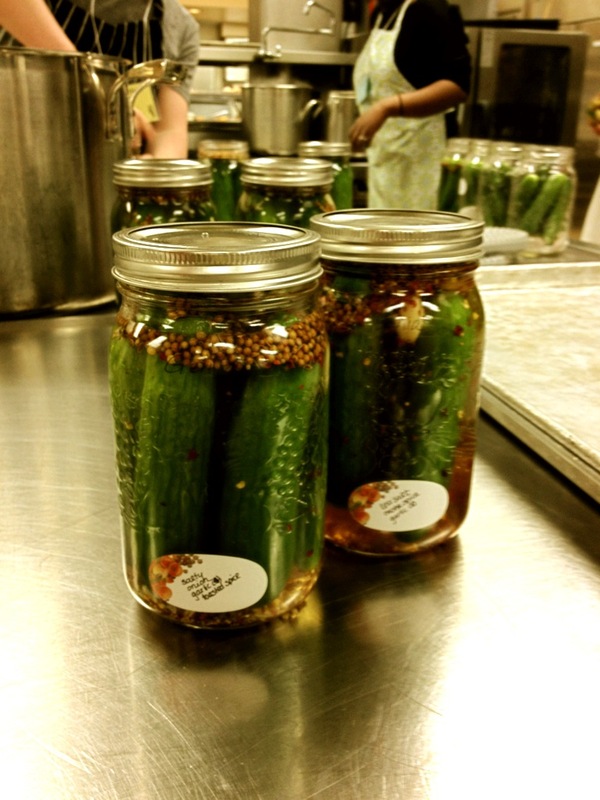 My first sessions was pickling! I’ve been wanting to try pickling for a while now. Since I can easily eat a jar of pickled green beans in one sitting, I figured I should probably learn how to make my own. We learned some basics such as the vinegar-water ratio, spicing with different flavours and canning. 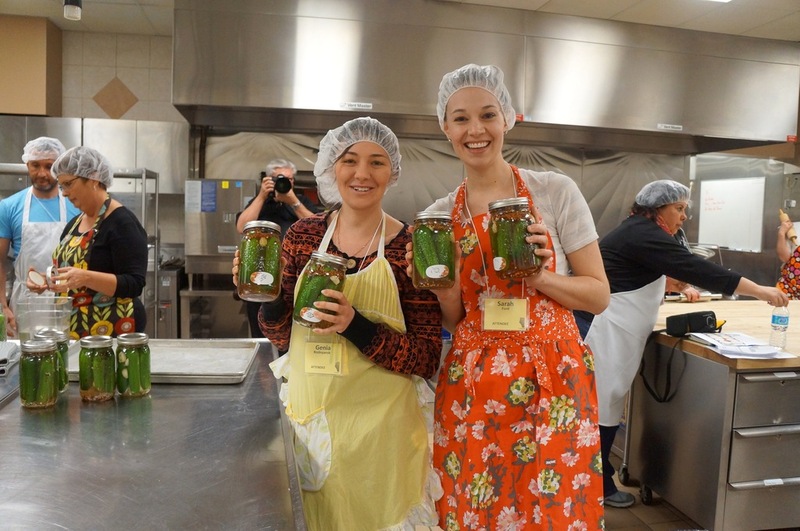 We each walked away with two jars of beautifully preserved pickles – it has taken all my willpower to wait and not pop these jars open immediately. Next up, and before lunch, was the local beer tasting. We were informed that the best time to perform a tasting is in the morning when your palette is more sensitive to identifying the various flavours. We receieved a brief introduction on the brewing history in Edmonton and proceeded to taste 7 local brews. My favourites from the collection are two summer fruit ales from Alley Kat. 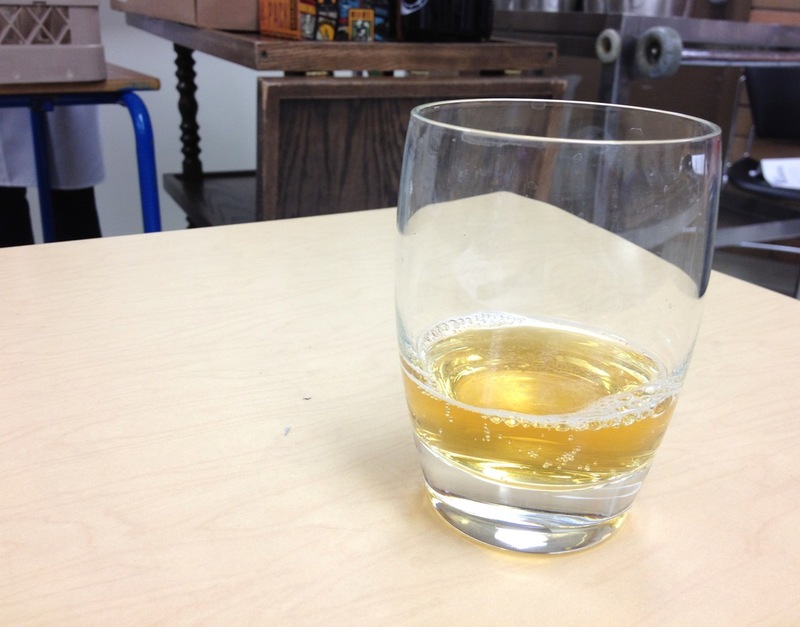 The first is Aprikat wheat ale. This is a beer I’ve enjoyed many times before and will surely have many more times. 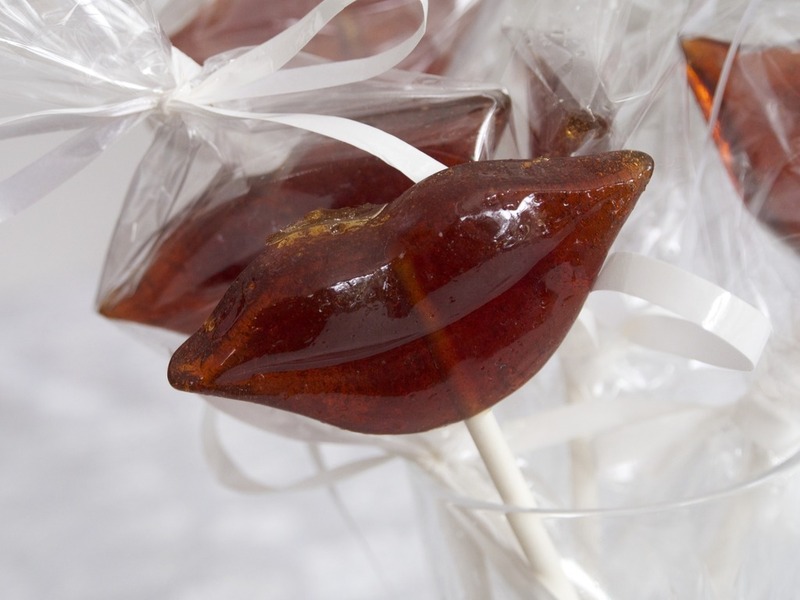 It is flavoured with natural apricot extracts and the flavour is fruity, crisp and refreshing. 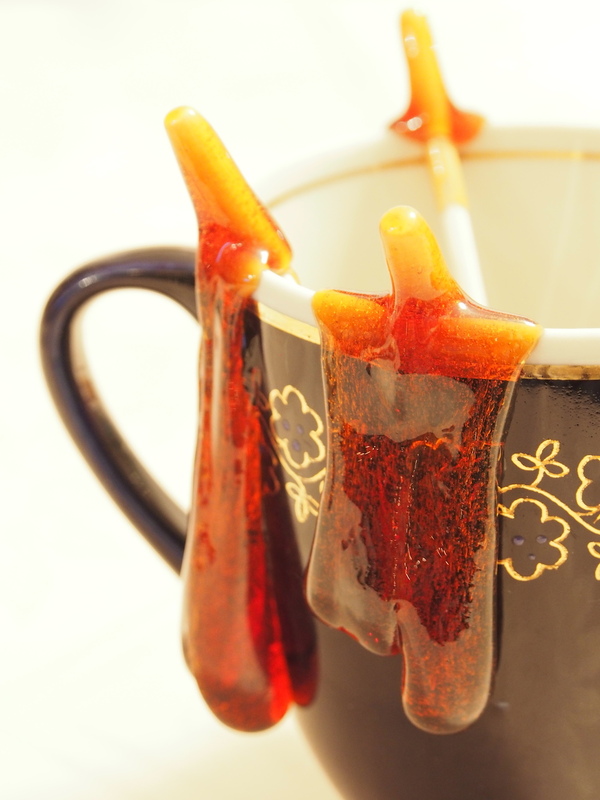 It is not too sweet as you often find with fruit brews. This is a long-time favourite of mine. The second beer is Alley Kat‘s seasonal Summer Squeeze. Another fruit ale, this one is flavoured with both real grapefruits and natural grapefruit extract. The taste is crisp and citrusy – perfect for summers on the patio. I will definitely be getting a few boxes of the Summer Squeeze while it’s still in season! After lunch, we had a fantastic presentation by Travis Kennedy of Lactuca Farms on urban farming. Lactuca Farms is an operation run out of Travis’ backyard and allows him to supply enough greens and produce to both feed his own family and sell at local farmer’s markets. The session discussed how to maximize production in a small space and in the short Alberta growing season. The secret (along with dedicated weeding) is using cold frames with insulated covers. For anyone interested in more information on cold frames, Kevin Kossowan provides some great info here and here. The last session of the day was saskatoon pie making. 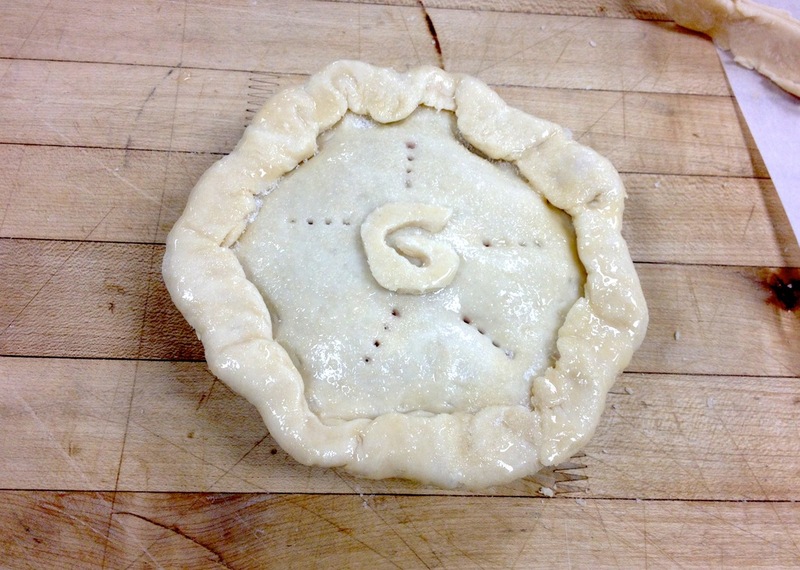 Pie crust, like everything else, depends on personal taste. For me, it has to be flakey and sweet. I’ve been looking for my perfect pie crust for a while now – getting recipes online, from baking classes and those passed on from grandmas. Nothing has made the cut for me yet. However, I think the pie crust we made yesterday was my favourite thus far! It was definitely the flakiest. The secret to flakey crust is not over-working the dough, using butter and keeping your ingredients cold! 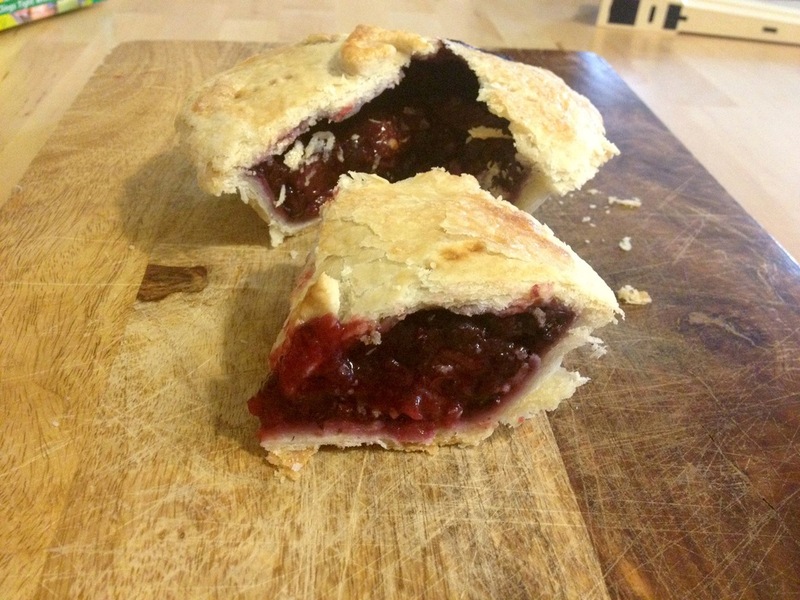 The filling was made of saskatoon berries, rhubarb and orange… mmm. Just talking about it makes me wish we hadn’t eaten it already. In Sean’s sessions, he managed to snag a sourdough starter (named “Julie”) which I’m sure will inspire some great recipes in the future. He also made a batch of ricotta cheese which we have already used to in tonight’s dinner (lasagna), learned about how to find and use edible plants in the Edmonton area and took part in a meat tasting. After the sessions were complete, there was a series of lightening talks put on by some great local organizations. Operation Fruit Rescue Edmonton (OFRE) harvests fruit in residential areas that would otherwise go unpicked and wasted. The fruit that is picked is then distributed evenly between the residents who own the trees (if they want it), the volunteer pickers, OFRE and donated to those in need. OFRE gives everyone in the community an opportunity to enjoy local, fresh fruit. The Alberta Mycological Society aims to teach the public about local mushroom species and holds numerous mushroom walks throughout the spring and summer. Anyone can join a walk and benefit from some expert guidance on how to locate mushrooms, which ones to eat and which ones to avoid. 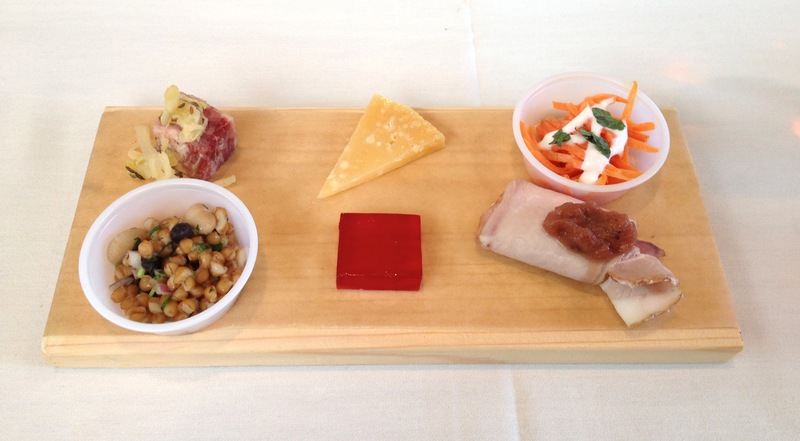 After all the formal presentations were complete, there was a “Wine Down” where each participant received a delicious taster plate, made entirely of local ingredients, and tasty fruit wine from local wineries (Barr Estate Winery and Field Stone Wines). We had some time to socialize with other attendees and presenters. Overall, I had a blast at Eat Alberta! I loved seeing so many like-minded people who are passionate about natural food, local ingredients and culinary education. It really made me proud to live in a place like Edmonton where there are so many inspiring chefs and food advocates. I can’t wait to see what great things our community will do next and will be keeping an eye out for future Eat Alberta events! A piece of advice for those looking to register in next year’s event – register early as the sessions fill up fast. 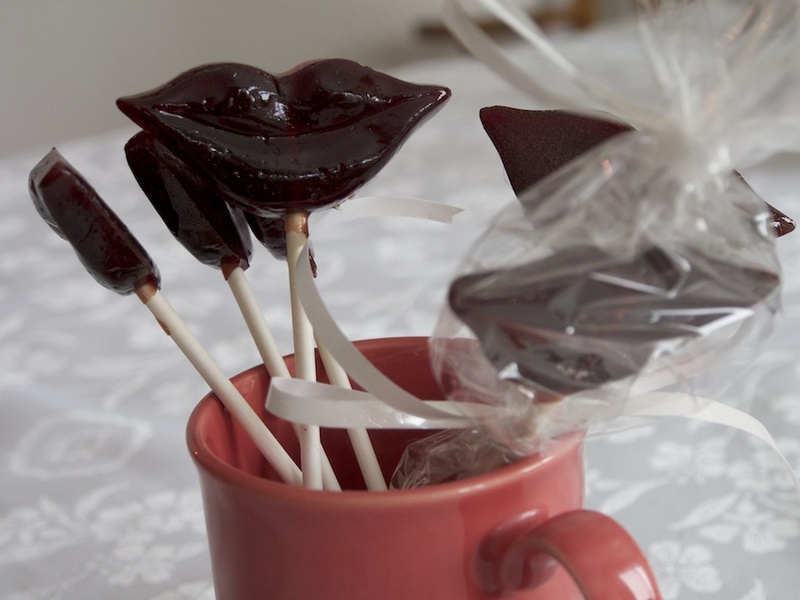 How was everyone’s weekend and Valentine’s day? I had a loooong week at work. I had to work a full day on Saturday and don’t even get Family Day off – sad times! 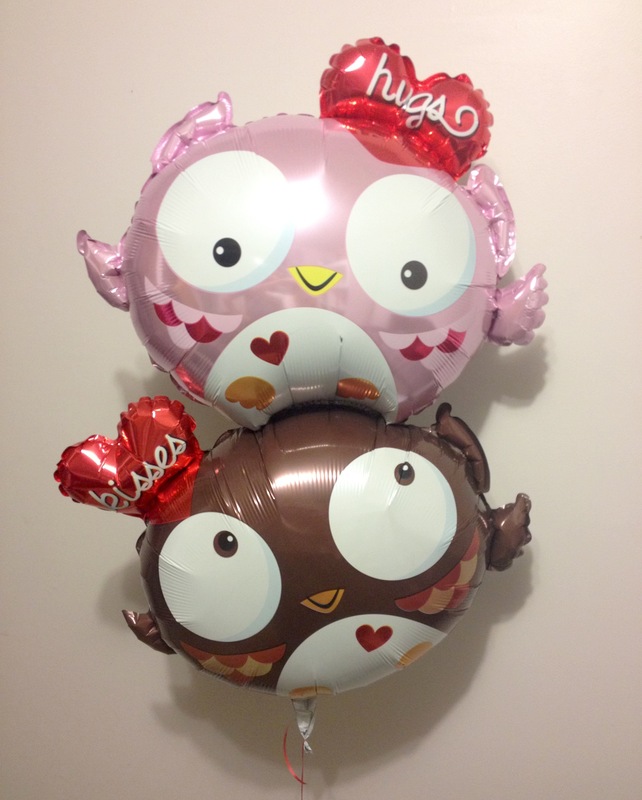 However, I had the best Valentine’s day! It seems like a lot of people really hate Valentine’s day. If you’re single on the day you often end up feeling bad about it, and if you’re in a relationship you feel an expectation to buy extravagant gifts and celebrate in some elaborate way or risk your significant other thinking that you just don’t love them enough;) It’s really easy to get sucked into the consumer driven side of Valentine’s day: buying flowers, chocolates, even diamonds to show someone you care on a day when everyone else is doing the same thing. Well me and Sean are definitely not into exchanging extravagant gifts (unless you count my balloon as extravagent). But I think that if you keep in mind that Valentine’s day is all about showing love to the people you care about most, you end up really enjoying it. It’s the perfect day to spend time with those you love, whether it’s your significant other, your family or your best friends. Since the best gift for me is always getting to spend quality time together, me and Sean had decided to celebrate Valentine’s day by taking a cooking class at NAIT together. It seemed like the perfect way to spend the evening since we’re both such foodies at heart. 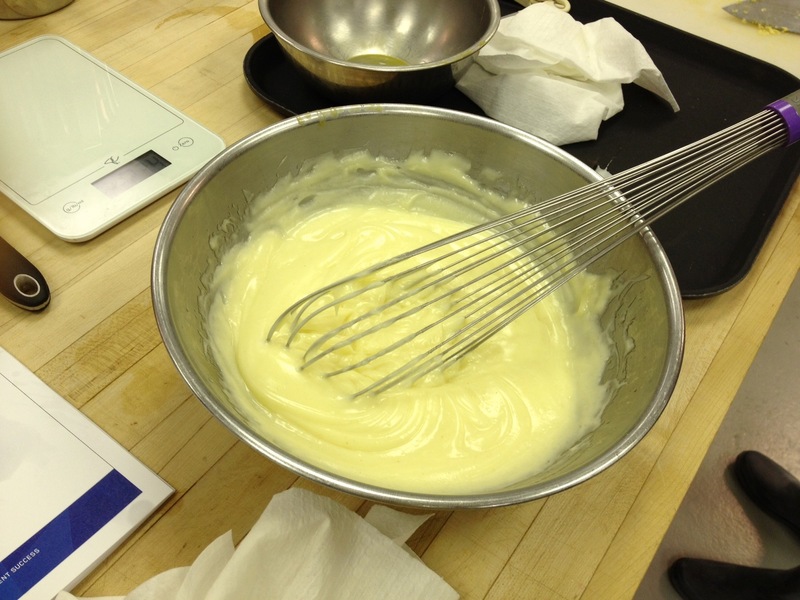 The Valentine’s day class was the first of NAIT’s new monthly cooking night out classes. These classes feature more of a social aspect – you’re encouraged to bring your significant other, friends or family and after you make your inevitably delicious meal you can sit down and enjoy it together with everyone. The class was an absolutely amazing way to spend Valentine’s day! We walked into the classroom to find a charming table set up where we would enjoy our dinner. There was one cooking station for each couple and laid out on each station was a bouquet of flowers and a cute basket filled with cupcakes, exquisite chocolates (from Jacek) and homemade bacon caramels (from The Infinite Yums). The instructor, Erin Howe, who we loved from Kitchen Skills 1, clearly went out of her way to make sure the night was perfect. I’m sure no one will be surprised to read that the last day of Kitchen Skills 1 was amazing! 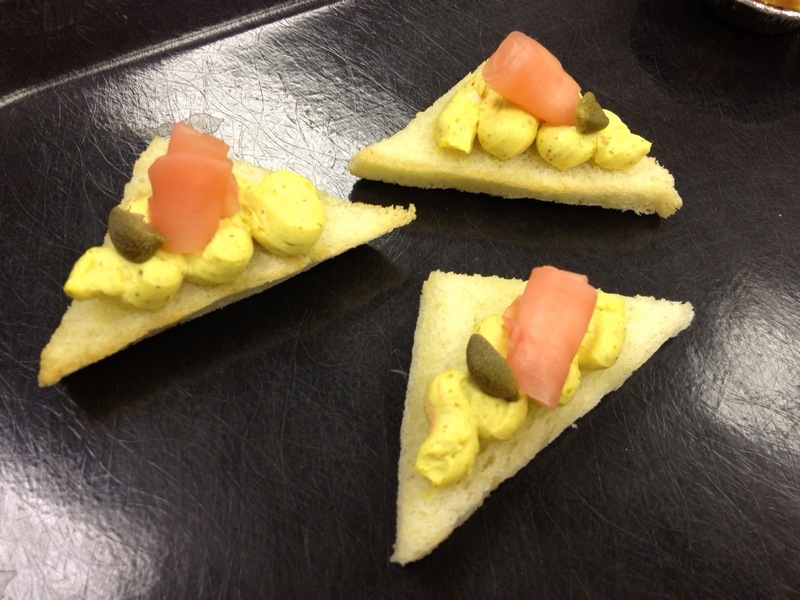 We learned how to make many different kinds of canapés. 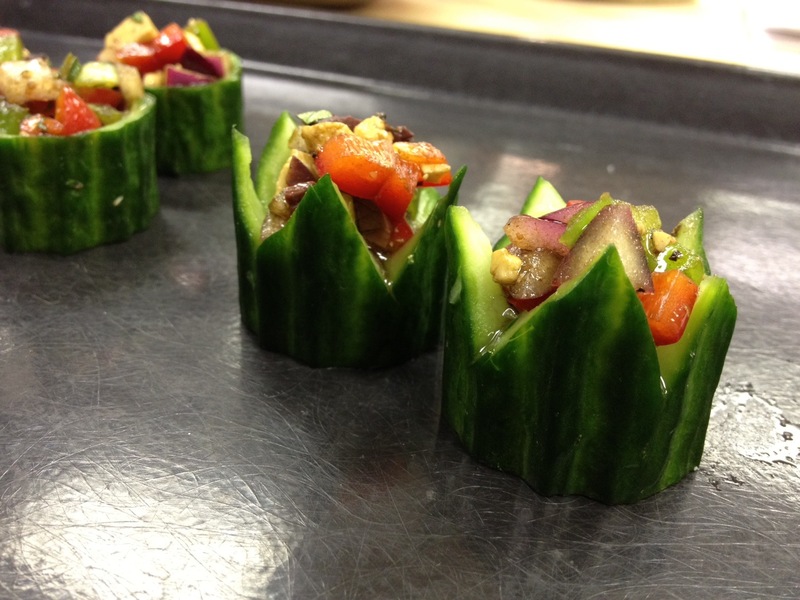 Since I didn’t even know what a canapé was until this class…let me explain. 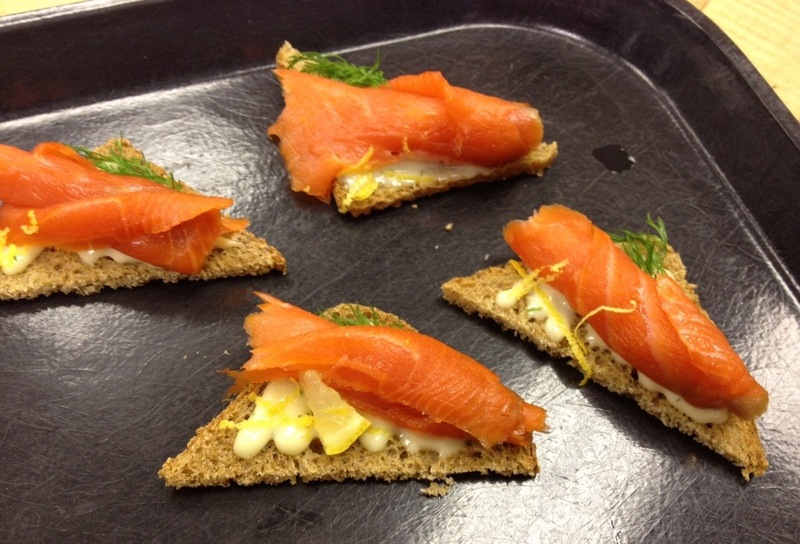 Canapés are bite-size appetizers which are generally made with a base (bread, crackers, pita chips), a spread (flavoured butter, cream cheese, mayo), the main (smoked salmon, veggies, etc.) and a garnish (capers, dill, caviar). There is a strong focus on not only taste but also presentation with canapés. Basically they are tiny snacks that make you feel like you’re at a fancy party! I love smoked salmon (and basically all seafood) so these were probably my favourite of the night – nothing too crazy but absolutely delicious! 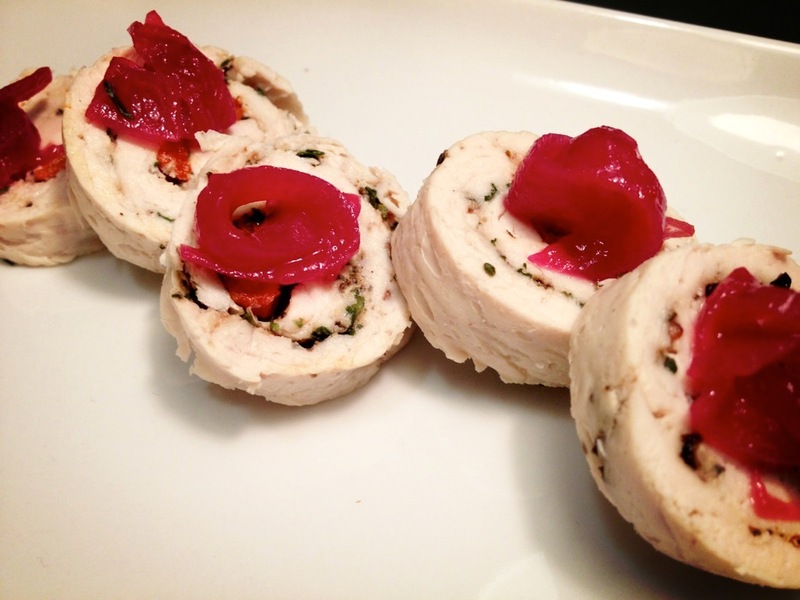 To make the roulade you basically just pound out a chicken breast until it is very thin, sprinkle with spices and whatever else you want to add and roll it up like a pinwheel. 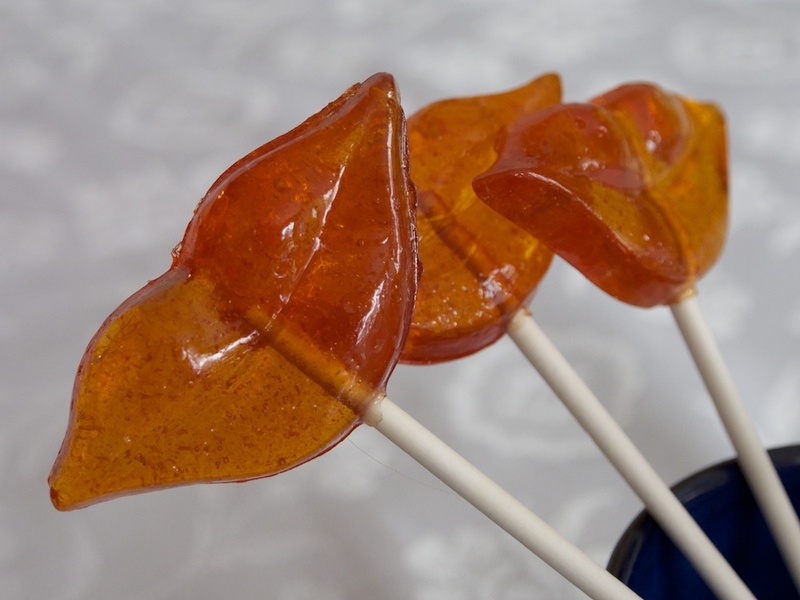 After its cooked, slice up into bite-size pieces and top with relish. I love the contrast in colour that the garnish provides plus these guys were really good too! Again this one is super simple but very fresh. 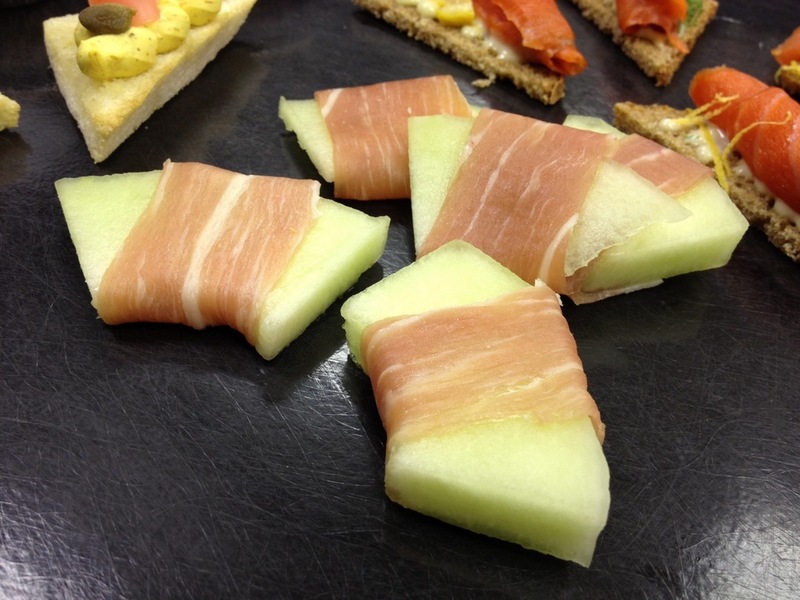 The pairing of good quality prosciutto (if you’re in Edmonton, I recommend going to the Italian Centre Shop for your supply) and ripe melon can’t be beat. These had a great spicy taste to them and making the curry cream cheese made the whole room smell amazing! I’m always surprised at how combining so few simple ingredients can make such a delicious snack – so good! Overall, I’m sure you guys all know that I loved the Kitchen Skills 1 class since it has been dominating my blog for the last little while. But, seriously, it really was great! 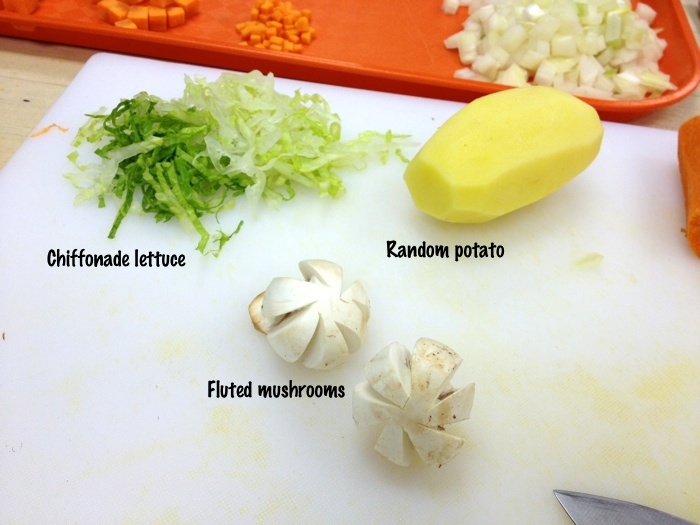 I learned tonnes about presentation and came away with so many ideas and recipes to try at home. 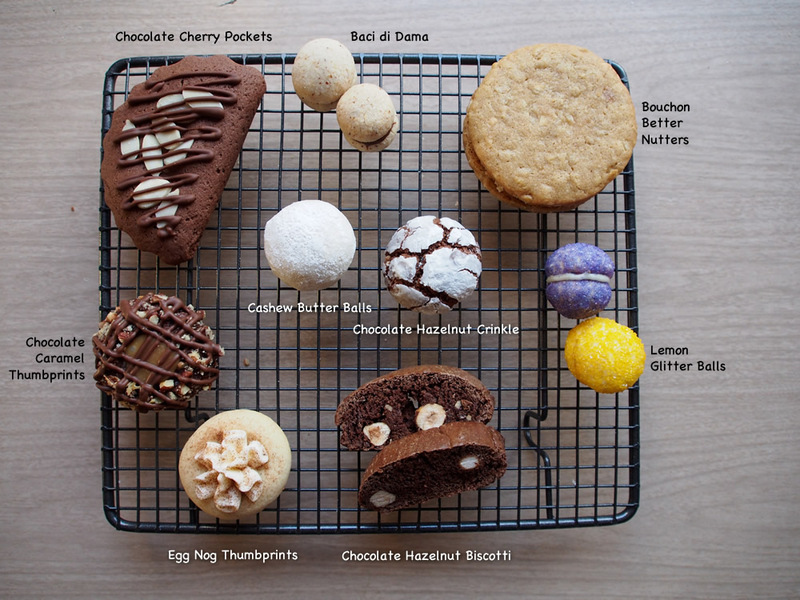 I can’t wait to have friends over for high tea or fancy appetizers now. The instructor was also fantastic (Erin Howe). I’ve taken a bunch of courses at NAIT in the past few years and she was probably my favourite instructor to date. She was so friendly and enthusiastic about the class and gave the students lots of tips, tricks and ideas outside of the regular class material. My only regret is that I’ll be working out of town when Kitchen Skills 2 is offered so I will have to wait until the fall to take it. In the meantime, I have registered in a few courses which will be happening later in winter and I’ll be sure to post about those too. 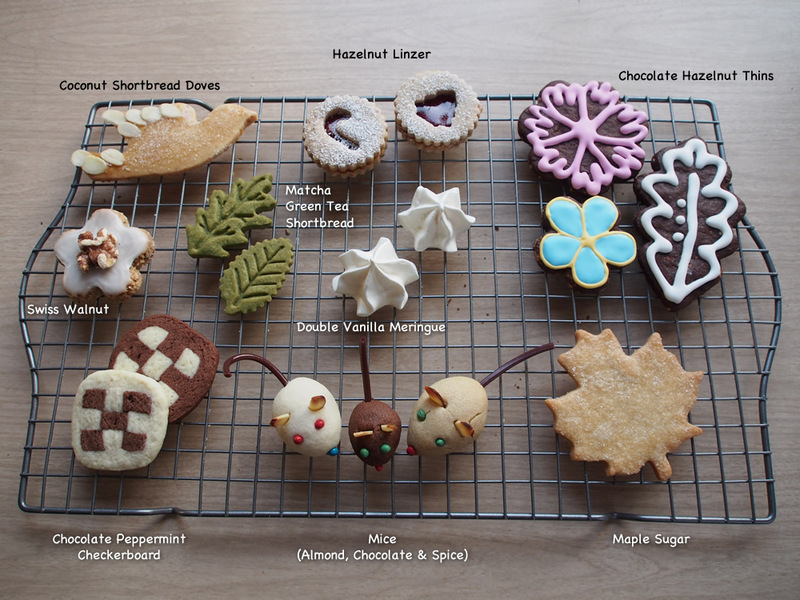 Does anyone have any other cooking or baking course recommendations in the Edmonton area? The second day of Kitchen Skills 1 proved to be great just like the first! 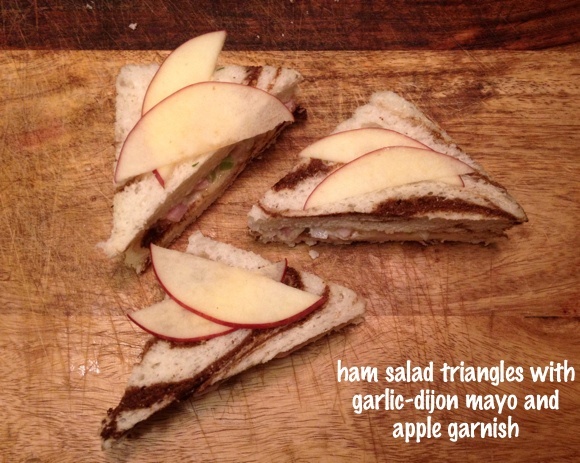 The class focused on making fancy sandwiches. 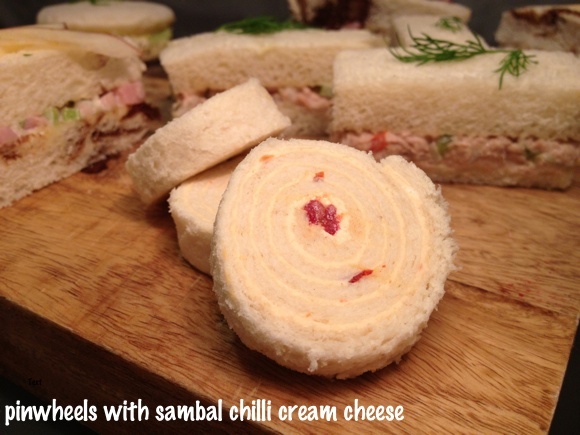 If you’ve been to high tea, you know exactly what I mean – those cute little sandwiches, cut into appetizing, geometric shapes. We used our newly acquired mayo-making skills to whip up a few varieties of mayo for our sandwiches (dill-lemon and garlic-dijon) and after some demonstrations were let loose to create our own fancy sandwiches. 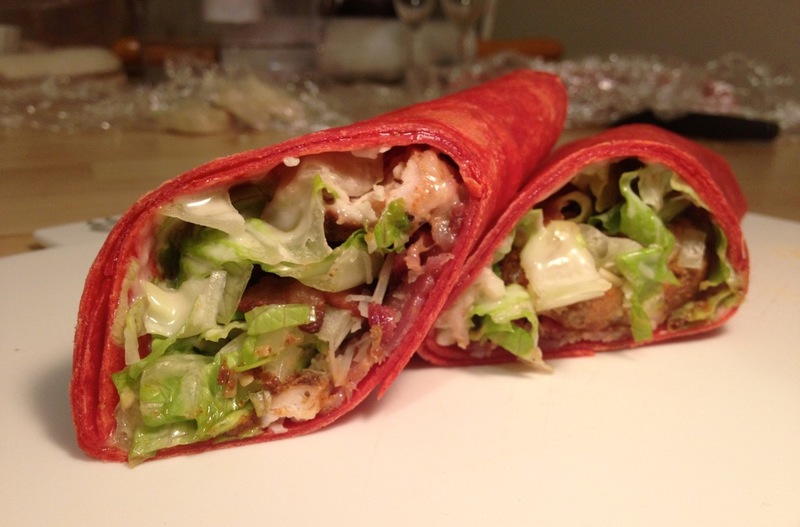 Next we used our handmade Caesar dressing from last class to make the most delicious chicken Cajun wraps. We pan fried the chicken to let it brown nicely on the outside and let it finish in the oven. A great tip we got on determining the doneness of meat without having to probe with a meat thermometer is to use the finger test. 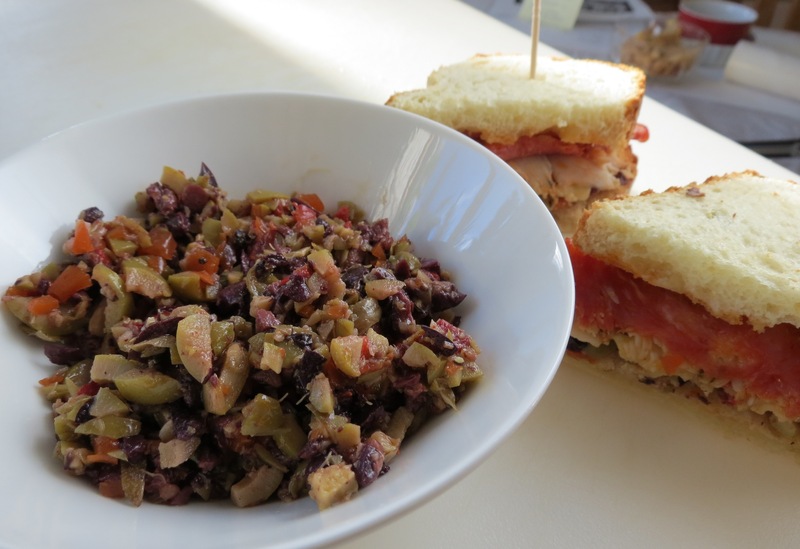 Last thing we did was make a tasty olive tapenade. Let me just say that I almost never bring sandwiches to work – they are like a boring, last resort lunch for me. 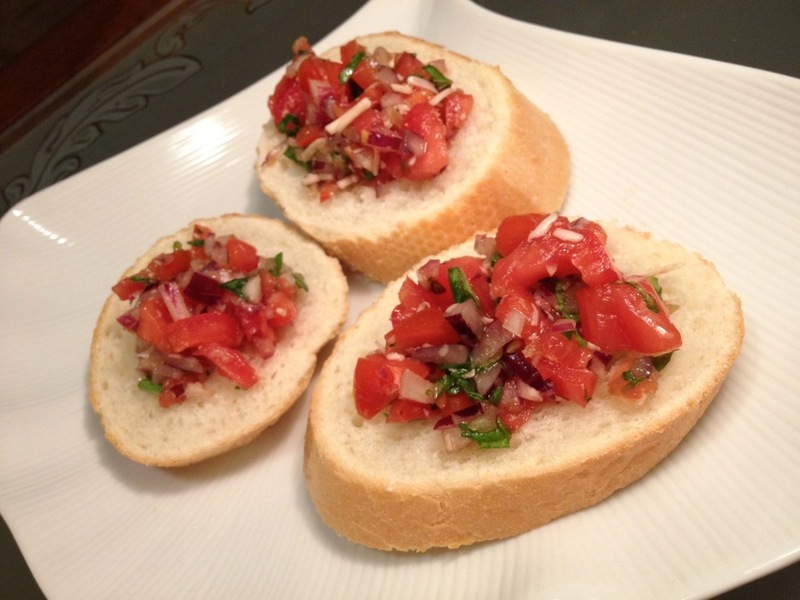 But, thanks to this delicious olive tapenade I’m looking forward to my sandwich lunch tomorrow! 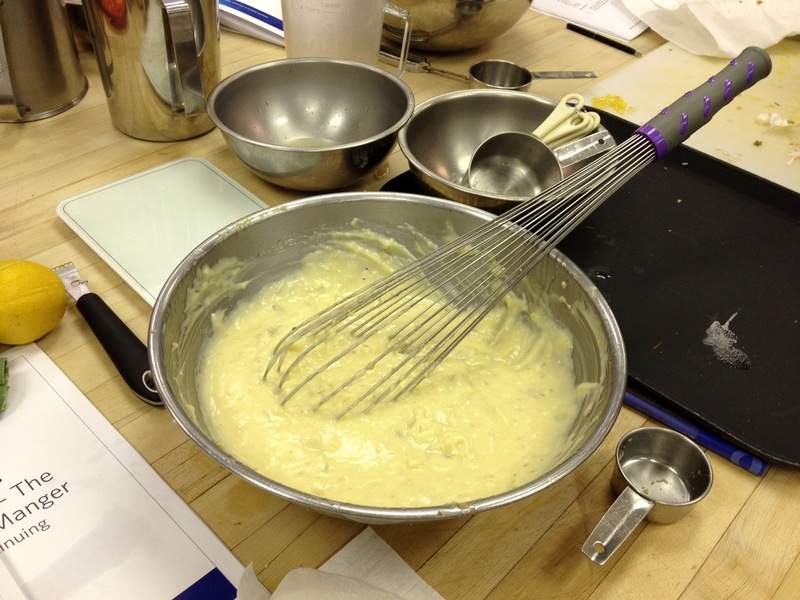 Yup it was a great second class of Kitchen Skills and I can’t wait for the third (and sadly last) class on Tuesday. 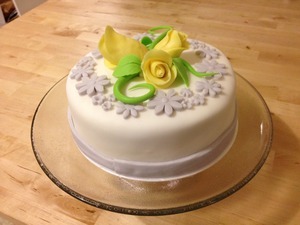 Since I love taking cooking and baking classes, I registered a while back to take Kitchen Skills 1 at NAIT. 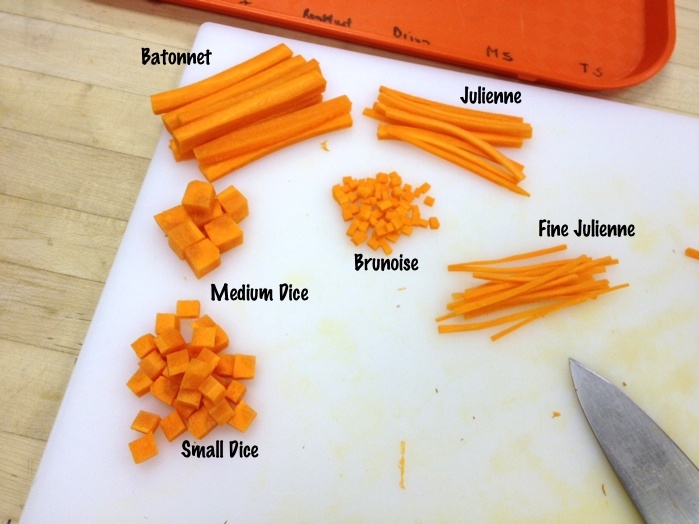 The Kitchen Skills series is a set of 5 courses which takes you through from basic knife skills to sauces to meats (with a bunch of stuff in between). To be honest, the first course did not sound very appealing to me. 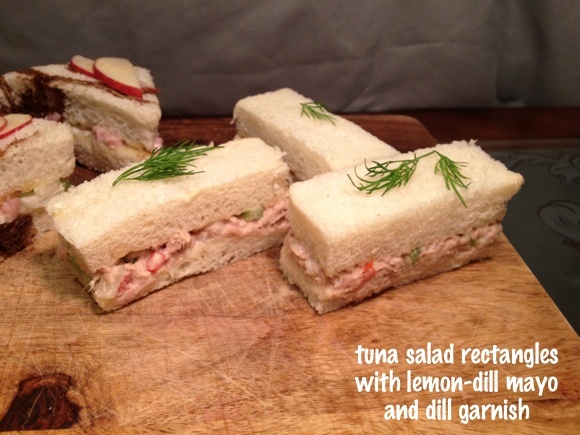 It covers knife skills, dressings and cold appetizers – how hard can it be to chop some stuff and make a sandwich? Well… yesterday was the first class and I completely loved it! 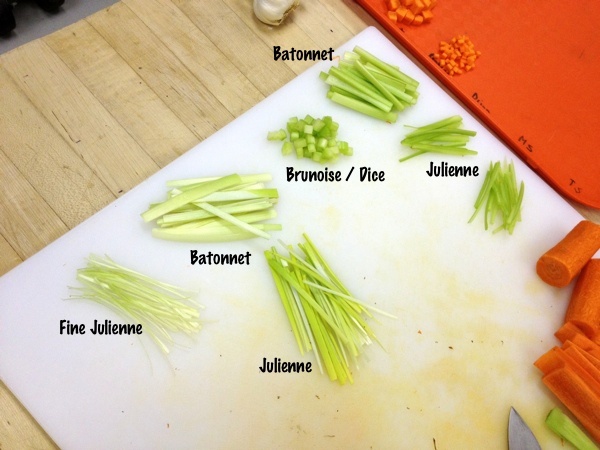 We quickly covered some basic knife skills and standard cuts (a lot of carrots, celery and leeks were hurt in the process). I cannot emphasize enough the difference a good quality knife makes and can’t wait to go buy a new high quality chef’s knife and sharpening stone after this class. Tip for anyone looking for a new knife: a sign of a good quality knife is that the blade runs through the entire length of the knife (ie. through the handle). 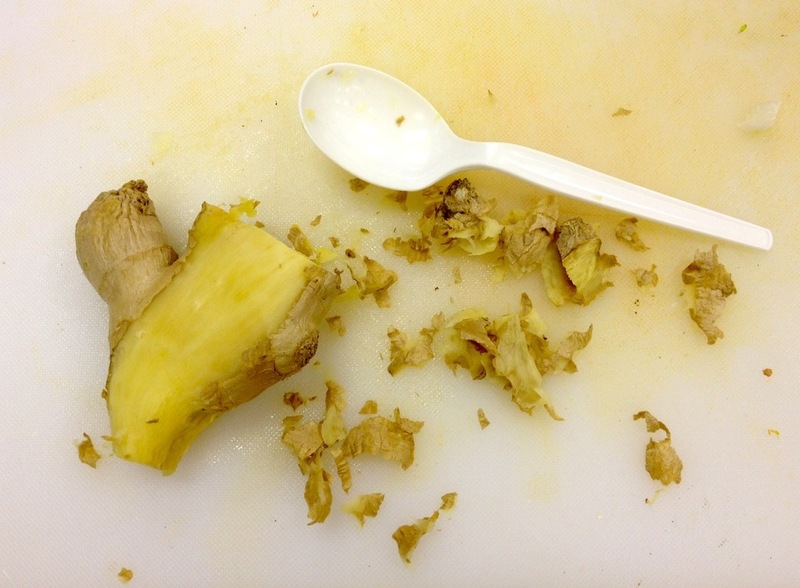 We learned a handy trick to use a spoon to remove the skin off ginger – so much easier than using a paring knife! 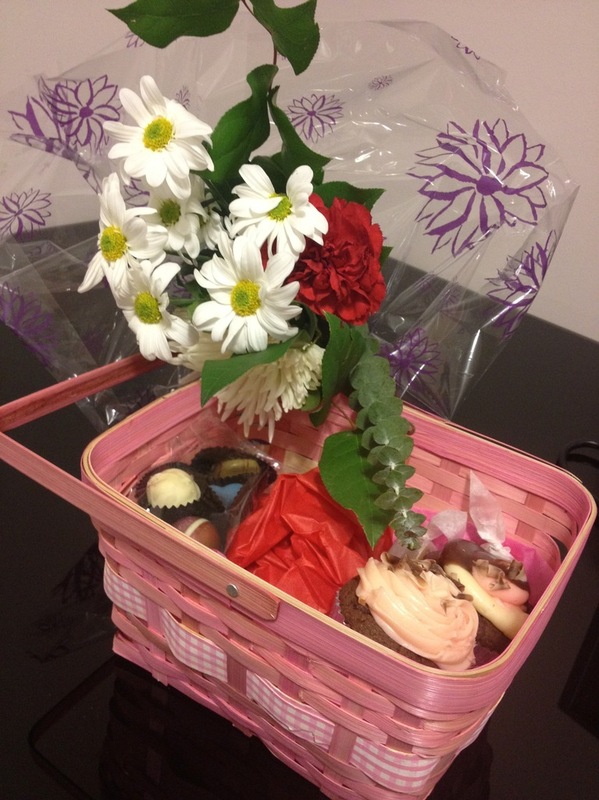 And my absolutely favourite part of yesterday’s class…. was making mayo from scratch! It was so easy and surprisingly satisfying. Why would anyone buy mayo when you could just whip it up so quickly. I love knowing what’s in the food I’m eating and knowing it is completely free from those gross preservatives. And even though I am not generally a huge fan of mayo in general, my mind couldn’t help racing through different variations I could make at home (chipotle mayo mmmm). Then, with a few simple additions, we turned our mayo into delicious Caesar dressing. Ok, I know it looks completely boring in these photos, but I promise it was great – filled with capers, anchovies and parmesan! Overall, day 1 was a success. I am loving the course and the instructor is awesome. I definitely recommend it to any foodies out there. 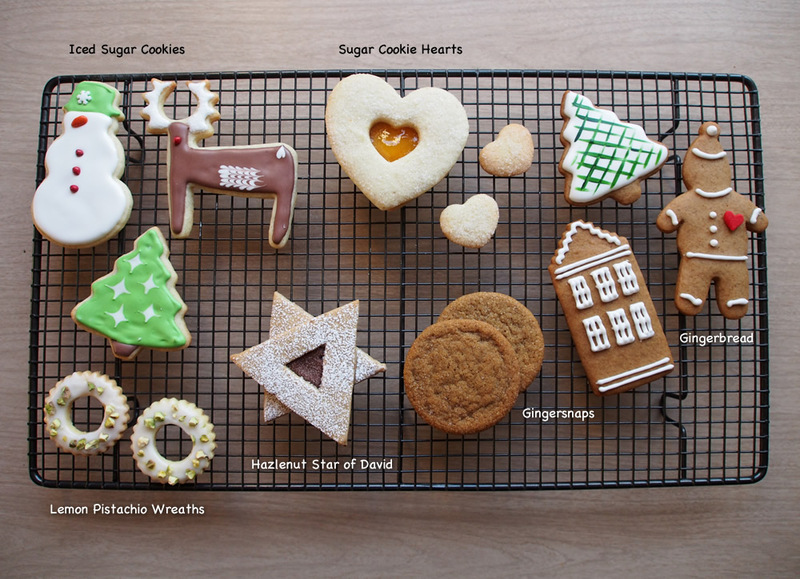 Are these any cooking classes that you guys have taken and loved?